The Lely Astronaut A4 automatic milking system revolutionized robotic milking as we know it today and has been the global leader in effective and efficient milk harvesting. 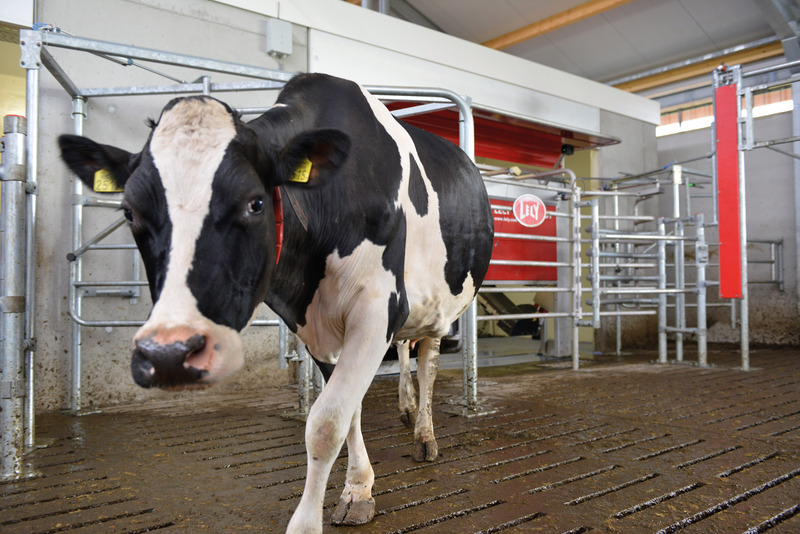 Debuted in 2011, this milking robot was the first of its kind to feature the walkthrough design called the I-flow concept where the cow is allowed to walk straight in and out of the box, eliminating unnecessary obstacles. The more spacious box is cow-friendly, allowing for continuous interaction with the rest of the herd and a less-stressed cow. This concept truly demonstrated our vision of dairy automation with more freedom for the cow, more control for the farmer and more milk production. The robotic arm – a more developed model of our original version released in 1992 – was one of the first to be stable enough to survive being repeatedly stepped on and kicked by cows. It also featured a new, more milk-friendly pump that transported milk to the tank without rotating impellers which can be damaging to the milk. “The big thing about the A4 is it was leading-edge technology and it is still the best milking robot available on the market today,” said Steve Fried, Lely North America Sales Manager. Lely has 35,000 milking robots operating worldwide and 19,000 of those are the A4’s, proving that producers have come to trust and rely on the opportunities the A4 provides. Now that the A5 model has been introduced, there are a limited number of A4 units available so don’t miss your chance to have one of these revolutionary robots in your barn! From now until October 15, 2018, we are offering financing as low as 2.49%* through Lely Finance for a seven-year term to qualified buyers. Click on the link below to request information from your local Lely Center about financing options or great cash discounts* available to you. Act now and you will also receive a free t-shirt! *Offer ends September 30, 2018, or while A4 supplies last. Available in the U.S. only.